This will be a big weekend of sessions to suit the whole team! Both IM preparation and the AT session #2 - Come along and train with your coach and the team. 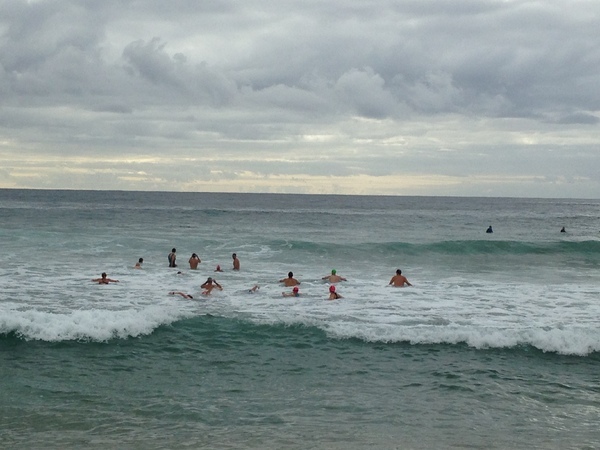 The Energy Link At session is a 4-5weekly session run by the coaching team and is a great opportunity to step out of usual program structure and train with the team AT = alternative training and anaerobic threshold. Saturday 21st March: (IM prep & AT session) Meeting at the cnr of Yulong Ave & McCarrs Creek Rd, Terry Hills. 6:30am start time for Ironman and some long course athletes / 8am start time for short and long course athletes depending on upcoming events. (your Coach will confirm this with you) Today will be either a speed endurance TT to West Head and run off the bike for Ironman athletes or a shorter faster brick set (bike/run) for some and if all goes to plan we will finish together for coffee! 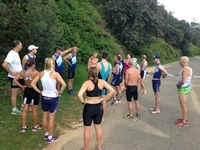 Sunday 22nd March: LSD (long slow distance) group ride for 6-7hrs meeting at Hornsby. * Please talk to your coach and let us know if you are coming so we have a plan for you. It would be great to see you all there! Tokyo Marathon: Nico Roth smashed his marathon in a time of 3:18. Congratulations Nico and Coach Lew! Tom came 17th out of 52 in the Male 30-34 with a very solid 2:26 – Swim 0:28:38, T1 0:02:12, Cycle 1:11:04, T2 1:17, Run 0:42:56. Race #4 – City of Rockingham Pursuit. 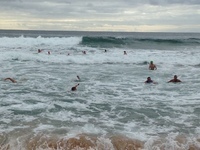 In a very close sprint for the line Prue finished 3rd, just 2 seconds behind 2nd place getter. Prue did her fastest time over this distance in this series with a 1:06:39 and a run PB of 0:21:07. The final race of the series, City of Joondalup Triathlon # 2, is promising to be another cracker. 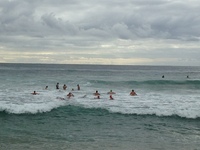 It’s on the 12th of April, 3 weeks out from Prue’s A event, Busso Half, and perfectly placed for Prue to have a real go! Go and get them Prue! A very big WELCOME to some new Energy Link team members. Scott Farquhar who is preparing for Western Sydney 70.3, Paul Kelly is training for Wollongong and Redcliffe sprint events and Townsville OD, Turia Pitt is well into preparations to race her first Ironman in Melbourne 2016, Irene Hunt from Forster is also well into her preparations for Port Macquarie Ironman, Sarah Collins is just getting started on a long distance program training from Darwin and is training for the Austrian World Long Course Championships and Batemans Bay 70.3 as a warm up event. 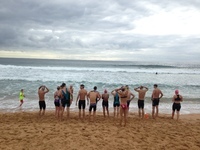 Sarah Johns is preparing for the SMH 1/2 marathon and Cairns 70.3, Bel Fong is racing Port S and Wollongong OD events as well as Club Champs and Kieran Ramsay is also training well for Cairns 70.3 and Club Champs all under Coach Waino’s guidance. Lauren Bourke has joined Lew’s team and will be hitting her program in preparation for the World Long Course Championships in August and we also welcome the great Snap Printing team who are all in training for Wisconsin Ironman - Kristen Gorman, Scott and Karen Tallis are from the Hills area and Michael Marcantonio is on a long distance program from the USA. • 8th March – NZ Ironman: Ron & Beryl Wilson. 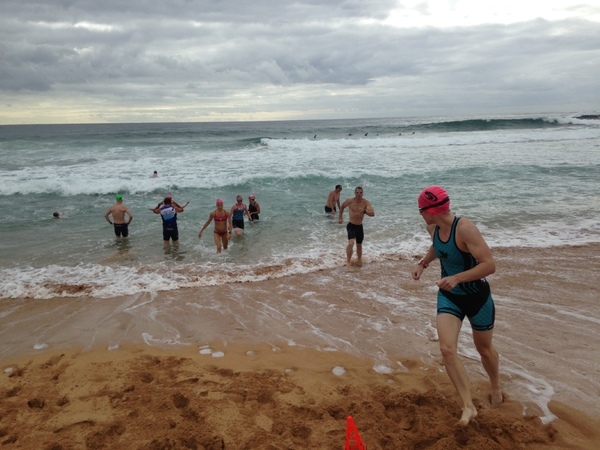 • 8th March – Wollongong Tri: Murray Robertson, Chris Hislop, Stephen Durant, Bel Fong & Paul Kelly. 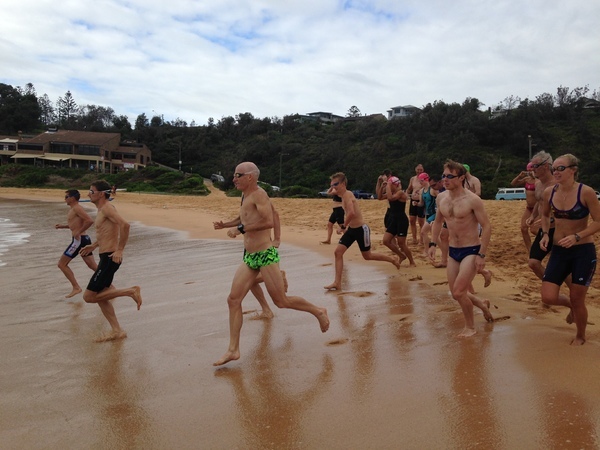 • 15th March – Canberra OD tri: Stephen Durant & Murray Robertson. • 15th March – 6 foot track: Brad Sutton. • 22nd March - Ironman Melbourne: Brad Spencer, Chris Hislop, Bruce Tomlinson, Marie Lambrechts, John Mahoney & Shannon Codd. 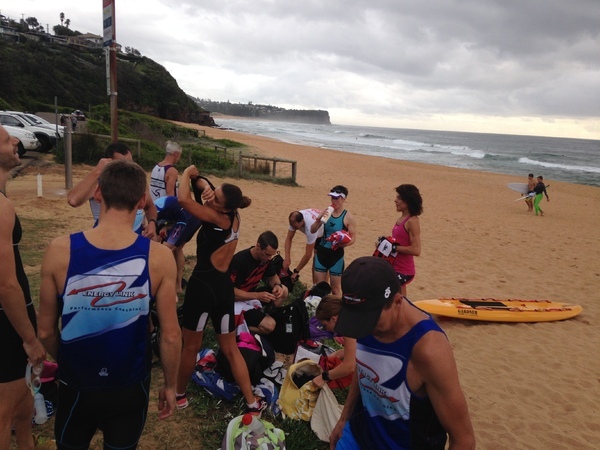 • 22nd March- Karri Valley tri: Prue Butler and Tom Becklerling. • 29th March - Challenge Batemans Bay: Victoria Symes, Sarah Collins. • 29th March – Tweed Enduro: Warwick Schneller. • 12th April - City of Joondalup Triathlon: Prue Butler and Tom Beckerling. • Kurnell Series: Nigel Playle, Stephen Durant, Victoria Symes, David Fell. • 2nd May - Busselton 70.3: Mike Gleeson, Tom Beckerling , Prue Butler. 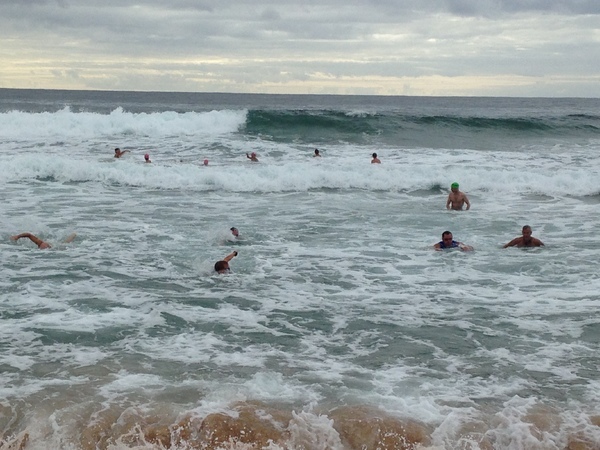 • 3rd May – Port Macquarie Ironman: Coach Lew Hartley, Andrew Grover, Ben Browne, Kelly Atkin, Derek Mulhearn, Jack McPhee, Emily McPhee, Glen McPhee, Deano Wilson, Petar Peric, Del Madge, Mike Gleeson. • 17th May – North Face 100: Brad Sutton. 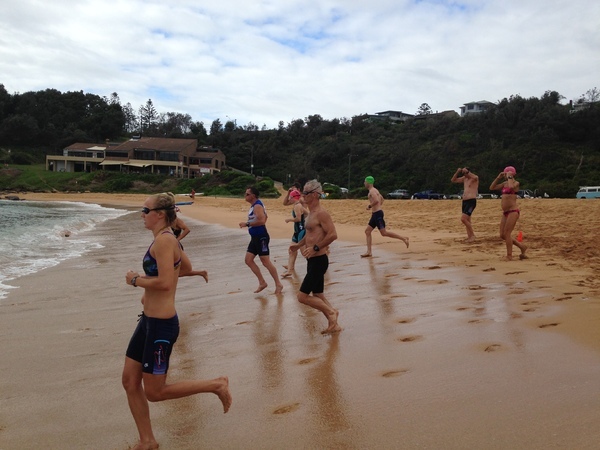 • 23rd May - Port Stephens OD triathlon: Bel Fong, David Fell. • 30th May – Kona 70.3: Di Bell. 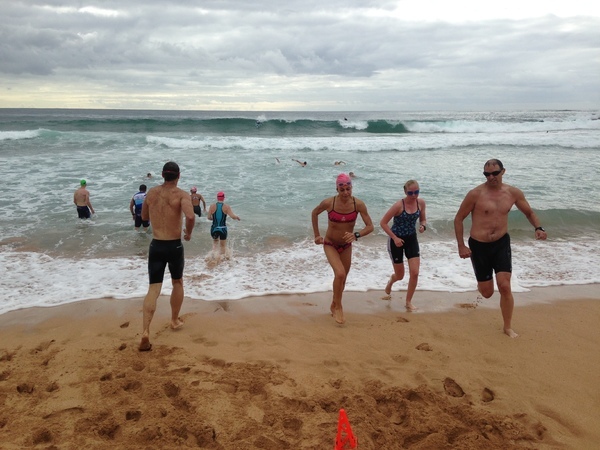 • 14th June - Cairns 70.3: Sarah Johns, Kieran Ramsay, Steve Edwards, Lauren Bourke. • 30th August - 70.3 World Championships: Lauren Bourke and Sarah Collins. • 13th September - Wisconsin Ironman: Snap team - Steve Edwards, Mike Marcantonio, Kristen Gorman, Scott and Karen Tallis. • 10th October - World Ironman Championships, Kona: Coach Waino. Here are some great product reviews from Coach Owain Matthews.